When it comes to all my health related issues, things are complicated to say the least. The Dr’s are at a loss as to what to do. They have pretty much tried just about anything and I have been on home health for a long time. I am bringing this up because of my appointment I had with my cardiologist today. For a long time, they have been trying to bring my blood pressure down. They have diagnosed my blood pressure as “malignant hypertension.” Which basically means that it is out of control. My blood pressure is on the average well over 200 for the top and around 120 for the bottom number. I take about 8 or 9 medications just for that. My blood pressure though is secondary since it is because of the Myastenia Gravis and the CIPD variant of Guillian Barre Syndrome. Since it is summer, it will get worse as it always does. So it will linger around the 230/120 mark at any given moment and it has a way of going much higher on any given day. I realize it is serious, but there isn’t much that can be done to change it. I have chosen to not stress or worry about it since that isn’t what I want to focus on. My cardiologist is stressed enough since he said he is unable to control it. He pretty much has said that there is nobody that he treats that he can’t help. He must have had a hard time admitting that. He also said, he can’t be responsible for the outcome. Not sure that is a good or bad thing. I guess it depends on how I take it. The last few minutes of today’s visit was what I enjoy doing at Dr’s appointments. And, that would be to witness to my Dr’s. Some Dr’s, not all have it in their mind that they are the one that can control everything, when that is far from the truth. I have some pretty awesome Dr’s and nurse friends that aren’t like this. But, my cardiologist isn’t like that. He asked me how I can handle the things I do and it is simple. I handle things because I know that God is the only one in control. He is the great physician. God has blessed Dr’s with the ability to help people and cure them. Ultimately it is up to God. I have chosen to trust in God and my faith is in Him, not Dr’s. 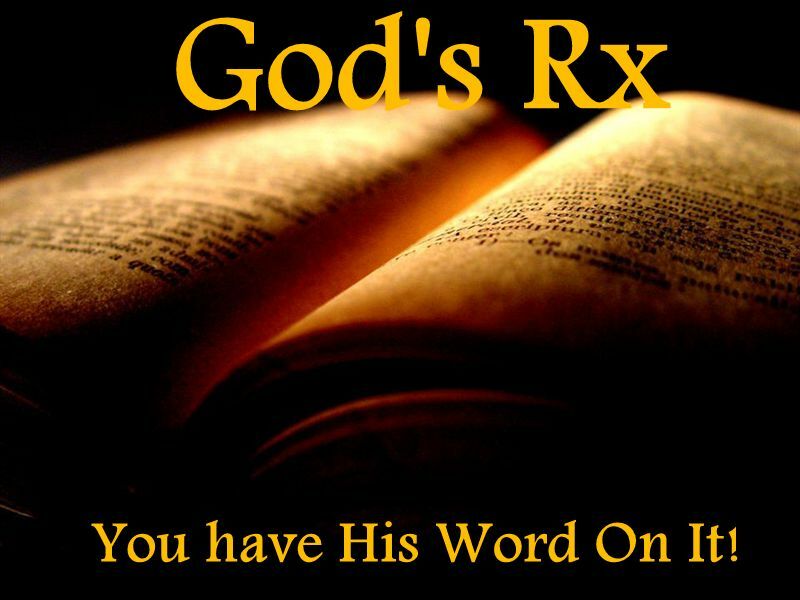 I trust my Dr’s, but my faith is in God. 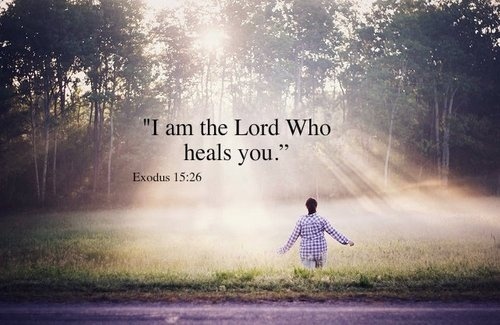 Jesus came to heal the sick from physical and emotional illnesses. From my own experiences I have found that there is no condition that Jesus can’t heal. I’m not necessarily thinking a physical healing since there are many forms of healing. I was explaining to my Dr that no matter what happens that Jesus will heal and that is why I have faith in Him alone. Over and over again, Jesus praised those who were being healed because of their faith. When we read Mark 5:25-34 it talks about how the woman who was sick knew that if she were to touch even His cloths, that she will be healed and made well. Immediately after she touched his garments, she was healed of her disease. Jesus healed those who asked to be healed and who had faith that they would be healed. Acts 5:16, “Also a multitude gathered from the surrounding cities to Jerusalem, bringing sick people and those who were tormented by unclean spirits, and they were all healed. As I was talking to my cardiologist I made sure that if nothing else from today’s visit that he knew that my faith was in Christ. As a Christian, I feel that we need to be prayerful and trusting. Faith is necessary and throughout the Bible we see that this is the main ingredient when it comes to healing stories and miracles. If we have a lack of faith, we may not experience healing. If nothing else happens during my visits, I think that Jesus put me in the offices of Dr’s and caregivers that needed to hear about Him. I feel blessed that I can witness to them and talk to them about my faith in Christ. I feel worse for the Dr’s than I do myself. When I come across a Dr who has come to the point where they have no idea what to do next, I have the privilege of telling them to pray and trust God. In closing, I just want to say that if you are in need of the Great Physicians, now is a good time to schedule an appointment with God. No copay is needed and your visit has been paid in full. Sandie, your faith and trust in our Father in light of your health issues is truly the greatest testimony! Thanks Shirley. I think there are a whole lot of others that have a wonderful testimony. When I think of all the things that you, Evelyn and so many others do and you guys just keep going and going. I can tell who is in control of your lives. We have so many in our church and world that is that way. I just hope that my experiences have a way of helping others.